Last Wednesday night I attended the first round of semi finals in the 2015 Winnipeg Poetry Slam at The Handsome Daughter on Sherbrook Street. Seven poets competed for four spots in the final with the last semi final round coming up on Wednesday May 20 at the same fine venue. I was one of the randomly chosen judges and dutifully received the derision of the crowd when I scored a poet too low. In my role as judge I used Andrea Gibson as top of the class, Carlos Andres Gomez a notch down. Very high standards, indeed. 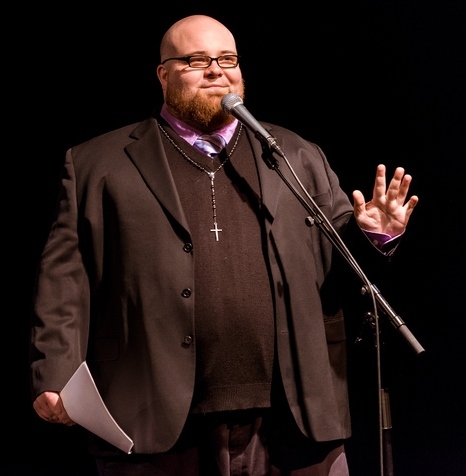 The event is held under specific rules with each poet performing twice in random order. My two favourite poets of the evening were Julia Florek and Rob Malo (above), neither of whom needed cheat sheets for their powerful, emotional performances. Their poems, in word and performance, stood above the competition in my humble aesthetic. Rob’s poem It’s Quiet on Langside at Midnight is particularly memorable. Mike Johnston (left), a Winnipeg middle school teacher who is currently the Winnipeg Poetry Slam Champion, brought excellent levity to the proceedings as the evening’s host. 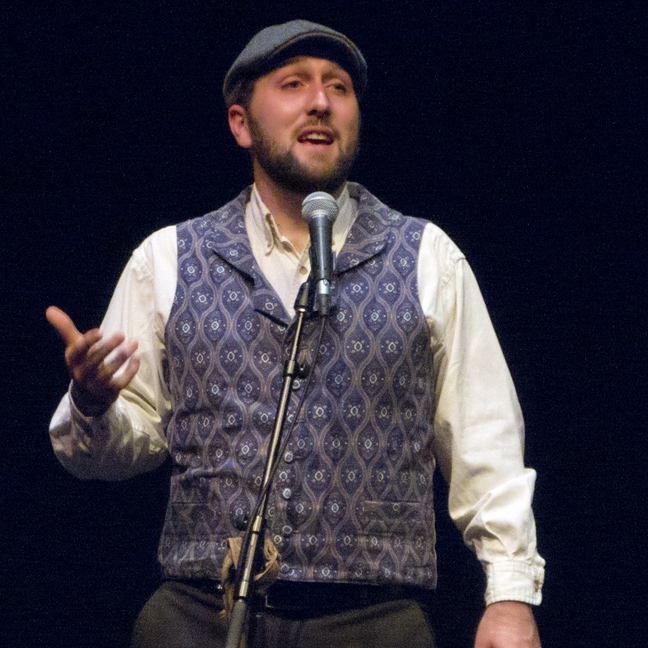 Mike along with seven other poets will be performing on May 20 for a spot in the finals. Admission is just $8. The Handsome Daughter, 61 Sherbrook has a bar and a restaurant for munchies. The final eight will compete to be among the four poets to represent Winnipeg at the Park Theatre, June 3, 2015. Admission $10. I plan to attend the next semi final and will have a follow-up report. Read my post on the results of the finals. 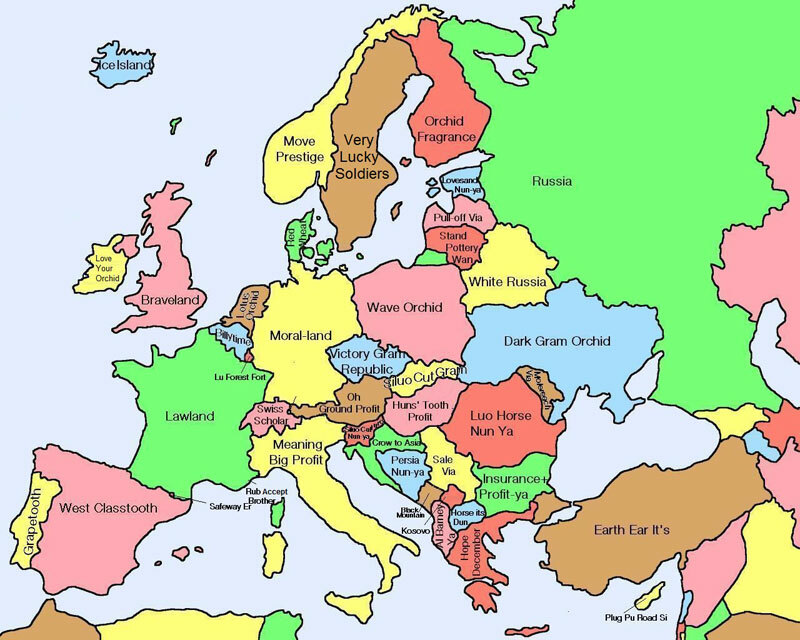 Maps that will help you make sense of the world. Maybe some of them are fiction but fun nonetheless. Find the other thirty-eight here.